I was watching the world news tonight, and the headlines are still of Haiti, showing tragic images of people crying for the loss of their family, or digging out the bodies of their dead children, or camped out in a park because their home was destroyed. I was so discouraged I decided to go for a walk, and ended up in the most hopeful place you can imagine, in the hospital! Here people are patiently waiting to receive care, or have gone through surgery and have started the recovery process. Here I see lives that were physically compromised, but are being restored. Here I see hope! I pray Haiti will no longer be spiritually compromised, but will find Hope in Jesus Christ. My brother Joe is planning to arrive in Haiti in a few hours. I plan to meet him, and help with search and rescue, and access the situation for future teams. I've got my truck already packed with all kinds of things; sawzall, sledge hammer, wrecking bars, generator, lights, food, water, bedding, limited medical supplies (Band-Aids, triple antibiotic ointment, pain killers) and an HF radio for US communications. I know that I have everything I will need; because I have Jesus too! Once I depart Deschapelles, I expect to be out-of-touch. I hope to check in once a day with my mom and dad who live in Virginia. They will make an update to my website. 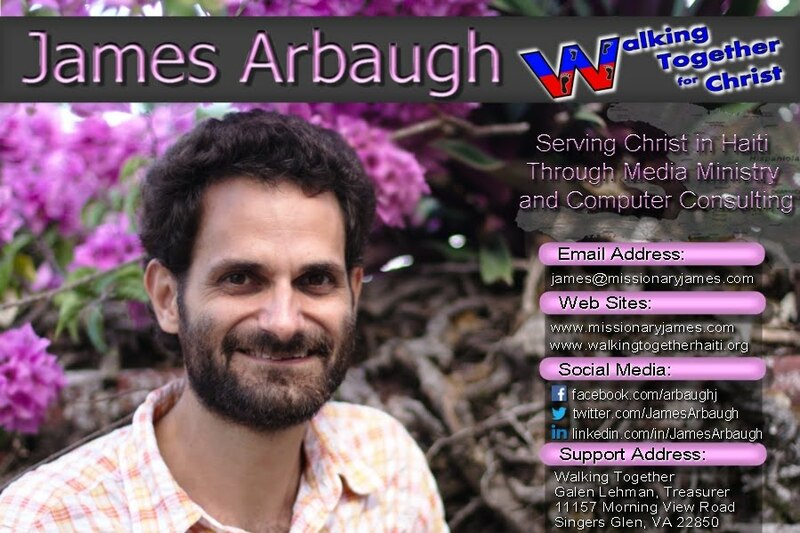 For the latest news, you can just visit www.missionaryjames.com. Once I return to email again, it will take a while to get caught up. If you try to email and don't get an answer back immediately, know that "no news is good news"! I send a huge "thank you" to everyone that has emailed or called, to hear how I'm doing. Your prayers are more important than you can imagine.